Musings from Bucks Mountain: Slap It! Musing. Pondering. Rambling. About Life. 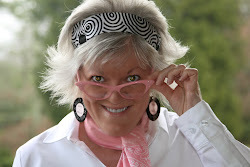 I'm from the baby boomer generation. I have a mop of white hair, courtesy of my gene pool. And a botox-free face that sports frown lines in the forehead and around the eyes. Love handles instead of a waistline. Can't say I'm exactly crazy about any of these old age indicators but I accept them with grace. And now I've lived long enough now that I ponder on a lot of things, new and old. It was an "A-Ha!" moment during the Christmas holidays. I was certain I had discovered something - as my Daddy used to say - that could be the greatest thing since sliced bread! I pulled a shoulder muscle patting myself on the back. Nearly knocked myself out trying to get my big head through the doorway. Looked like a big ole piece of puffcorn, I did, with my ego so blown out of proportion. Could this idea be marketed, trademarked, make me a billionaire??? Then being the addicted little "Pinner" that I am, I immediately researched Pinterest to clarify that I was the only one in the world that thought of it. I just knew I was destined for greatness! All that said, this big ole balloon-sized idea of mine got "pinned". By someone else. Pop! Balloon Burst. Slow deflation. No, my idea is not original. Someone else thought of it before me. But do I get any kudos for thinking of it on my own? Oh well, here it is. Not original but I still love it! It changed my life. Okay, maybe that's a little excessive. Here it is! 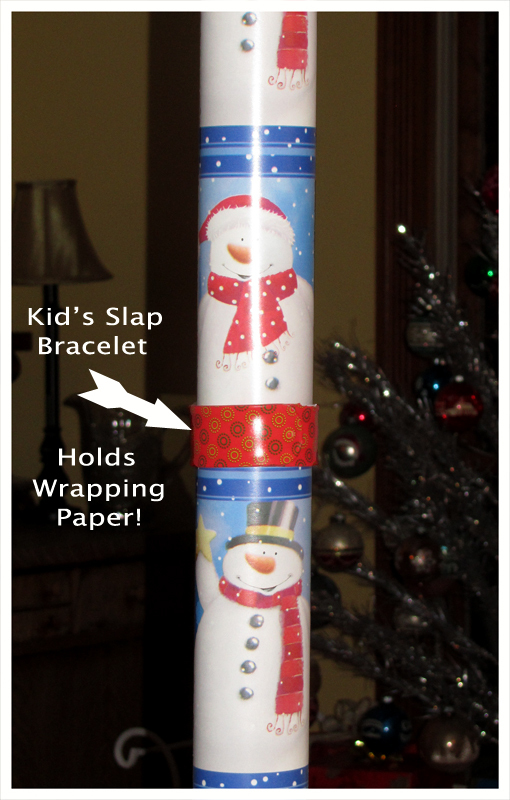 I used my granddaughter's "Slap" bracelet to keep wrapping paper secure on the roll until the next cut! Who is the Real Me? A Cup is a Cup? Right? Not? Camper Decor to Razz My Berries! Peach Cobbler | Easy & Delicious! Two Old Gals in PJs - 46 Years Later! Peach Cobbler: Easy and Delicious! Slow down. Smell the Roses. Click the Shutter. ©Patricia Montgomery | 1987-Present | Bucks Mountain Galleries. Ethereal theme. Powered by Blogger.